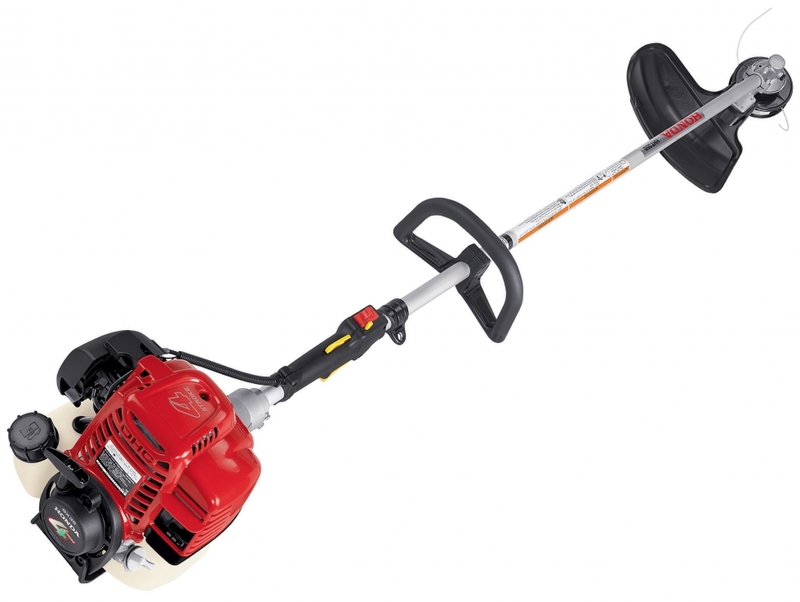 Tame the wilderness with the Honda HHT35SLTA, 35 CC Weed Eater. This weed eater is powerful enough to mow through tough terrain - it's a must have for professionals. It starts quickly and easily with its 4-stroke Honda engine and it is ideal for heavy-duty trimming and brush removal. The comfortable loop handle design with soft grip makes this weed eater as comfortable as it is powerful. It also boasts fuel efficiency, a deflector for increased visibility, a durable solid trigger and a 17" Kwik loader 2 line head with Quiet Line - to name a few. Fuel Tank Capacity:	22 fl. oz.